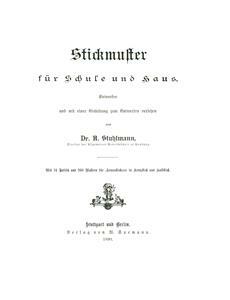 Entworfen und mit einer Anleitung zum Entwerfen versehen. 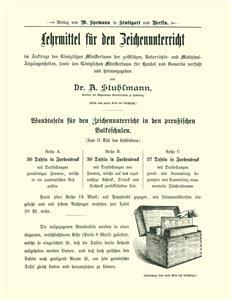 Mit 74 Tafeln und 260 Mustern fur Leinenstickerei in Kreuzstich und Halbstich. 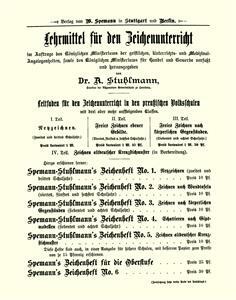 Stuttgart, Berlin, Leipzig. 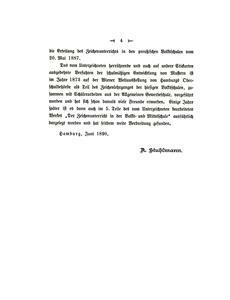 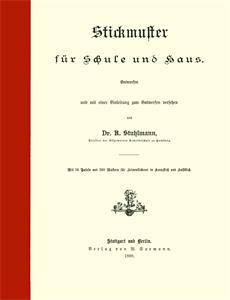 Union Deutsche Verlagsgesellschaft. 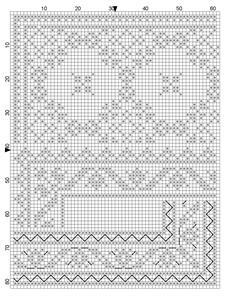 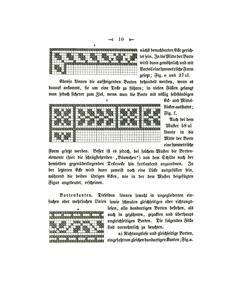 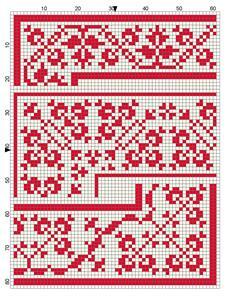 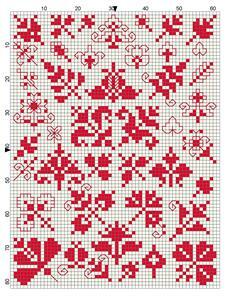 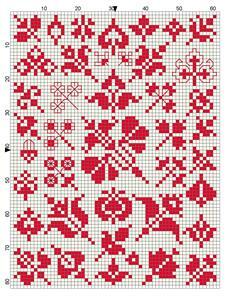 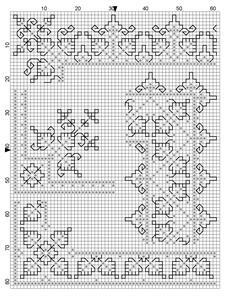 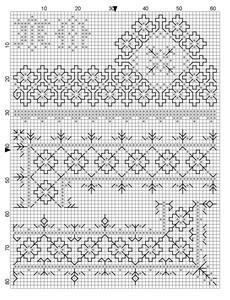 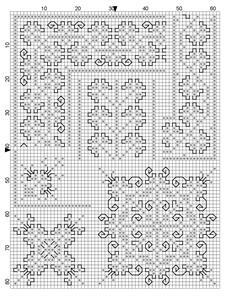 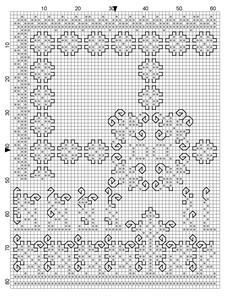 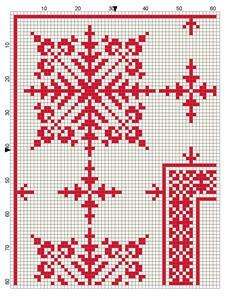 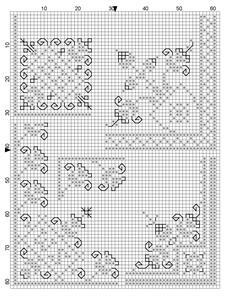 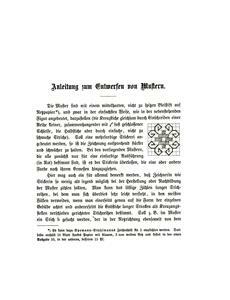 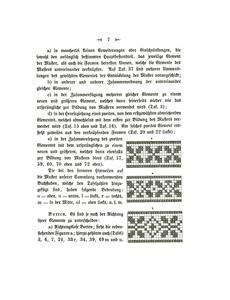 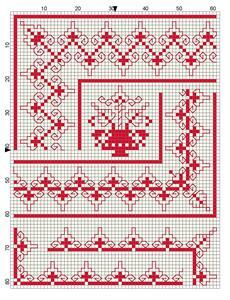 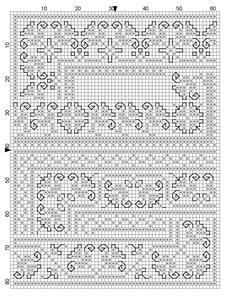 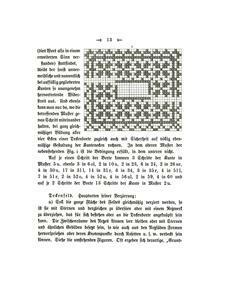 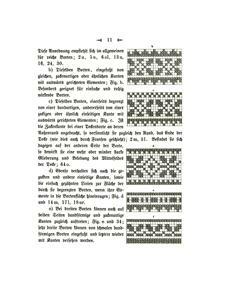 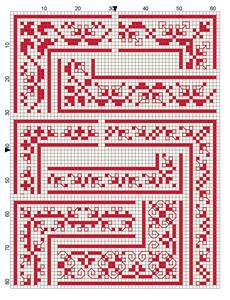 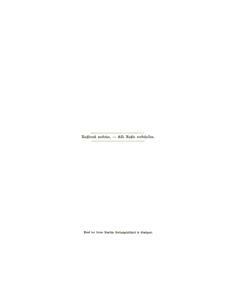 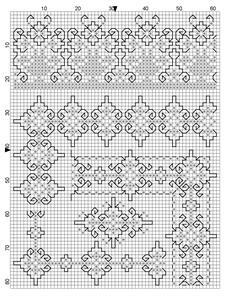 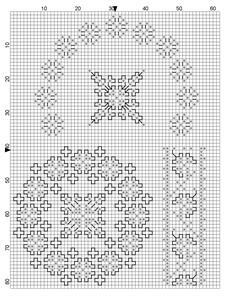 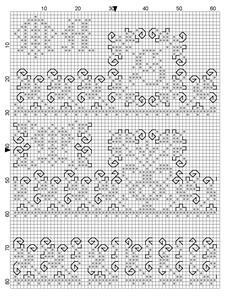 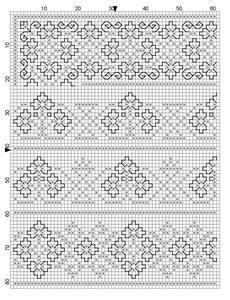 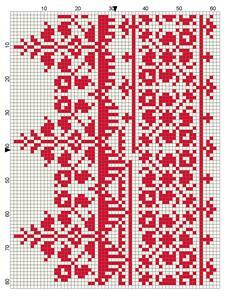 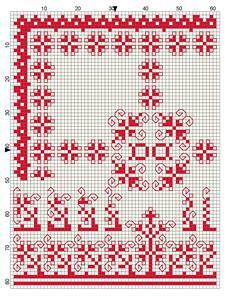 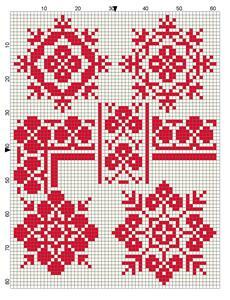 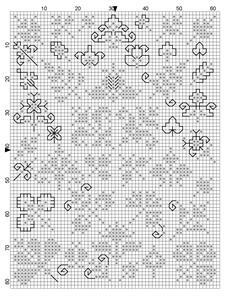 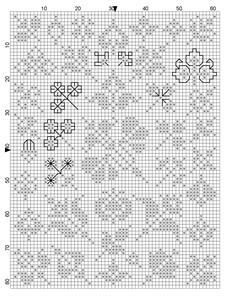 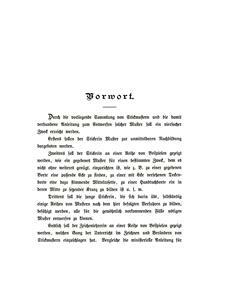 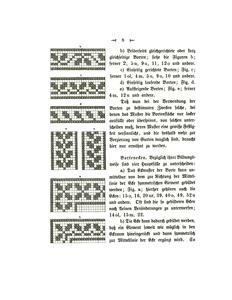 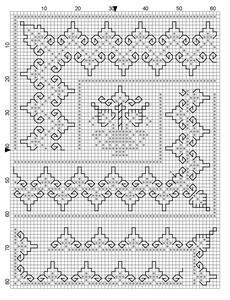 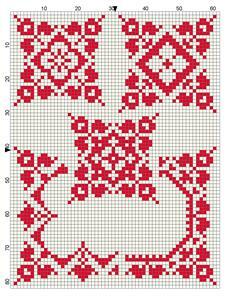 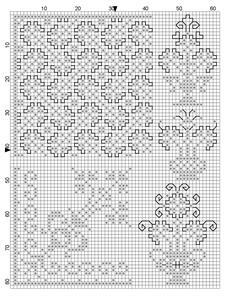 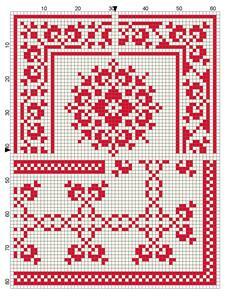 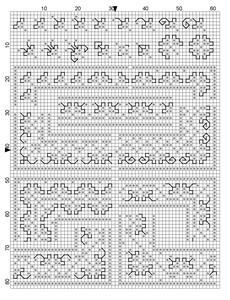 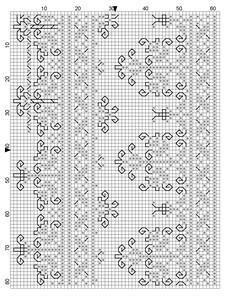 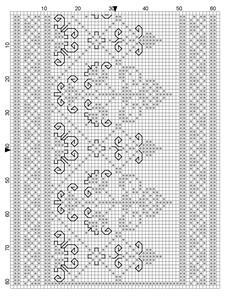 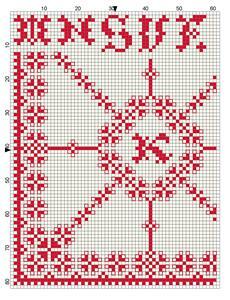 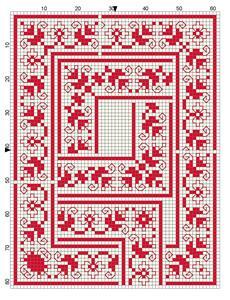 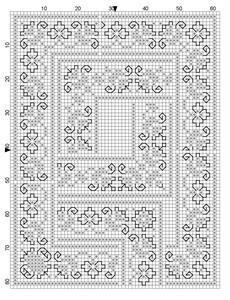 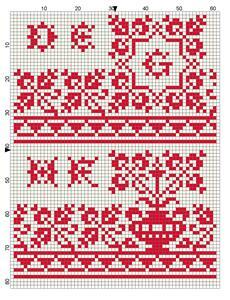 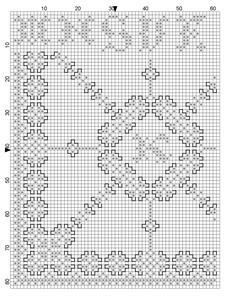 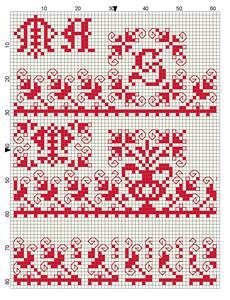 German language Instructional manual for teaching counted embroidery, including cross stitch, tent stitch, and double running stitch. 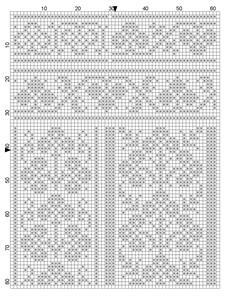 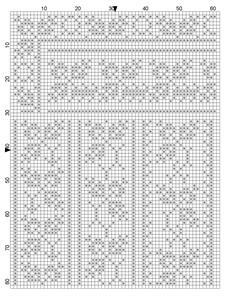 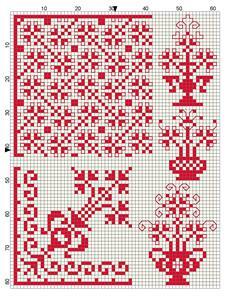 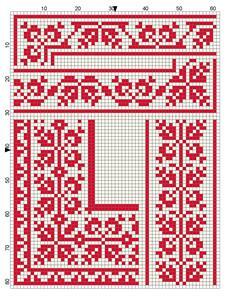 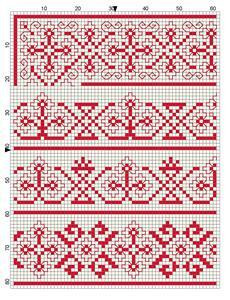 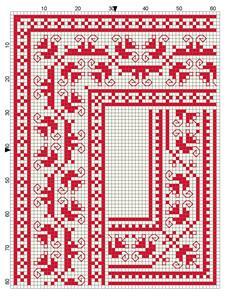 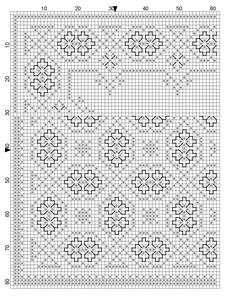 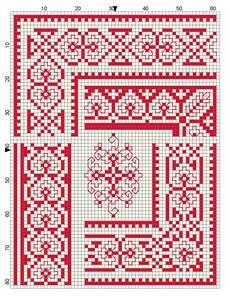 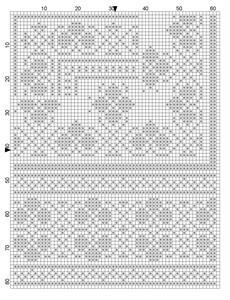 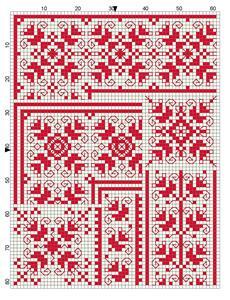 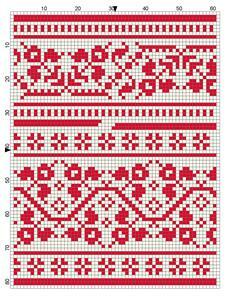 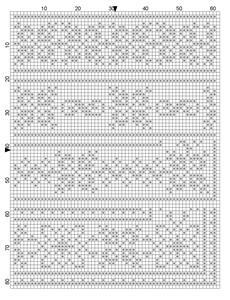 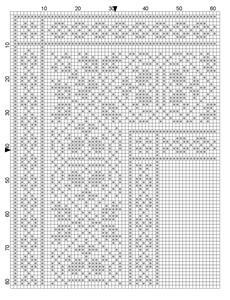 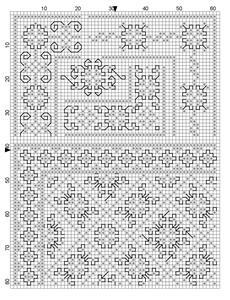 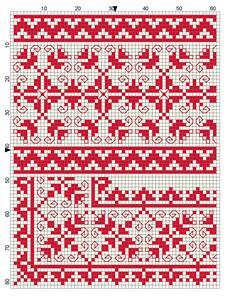 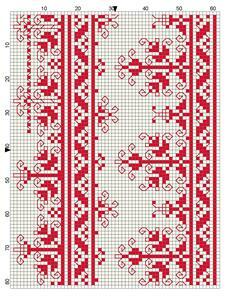 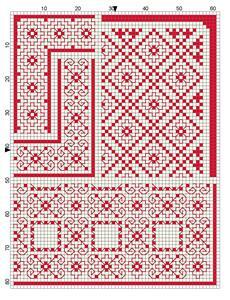 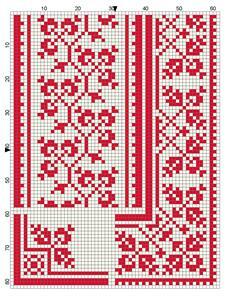 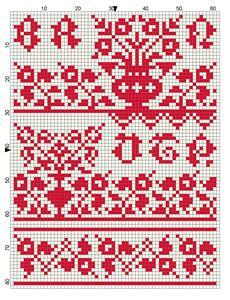 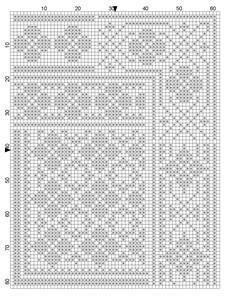 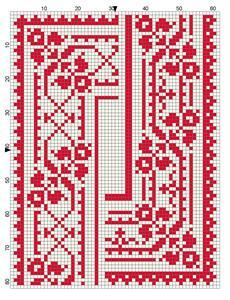 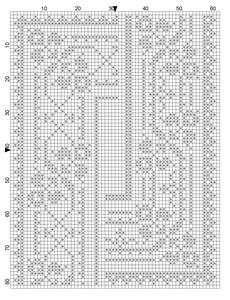 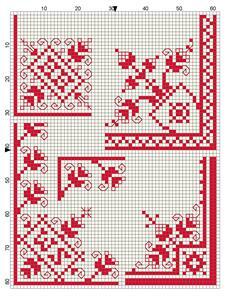 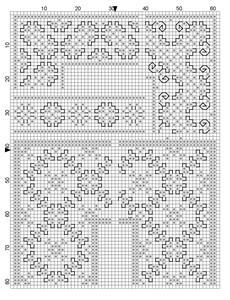 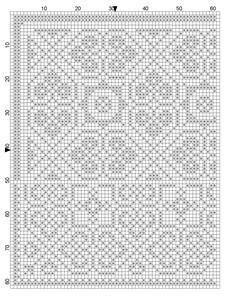 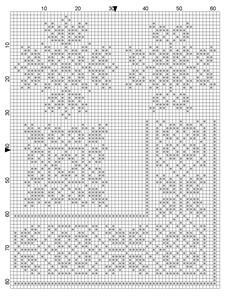 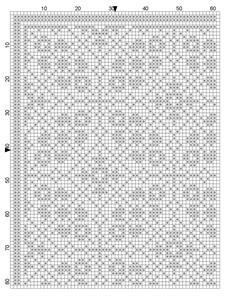 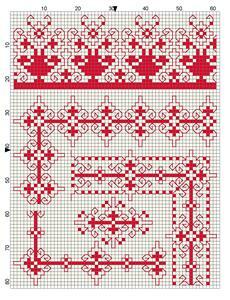 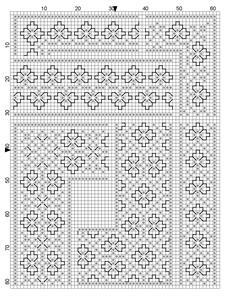 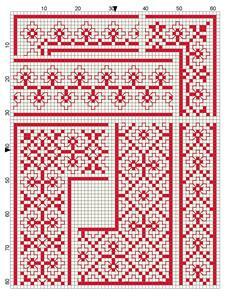 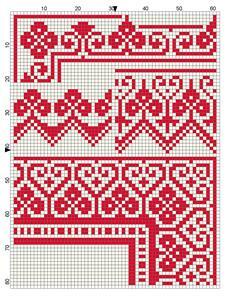 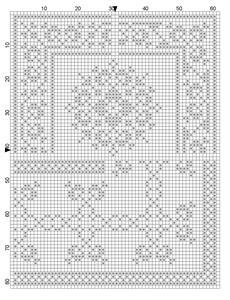 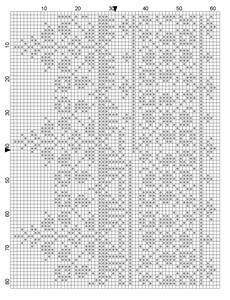 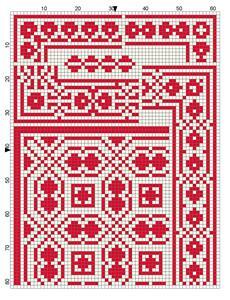 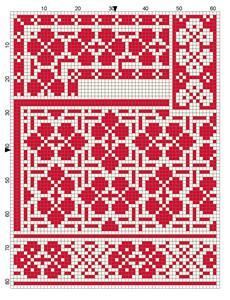 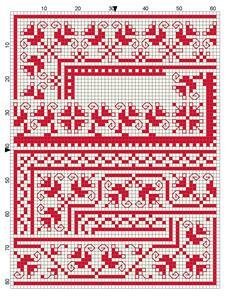 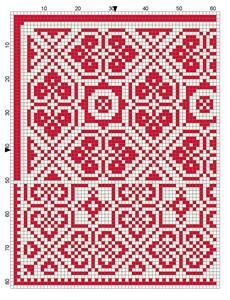 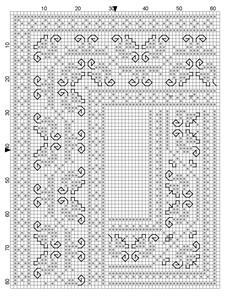 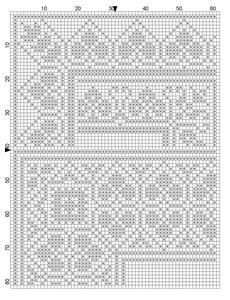 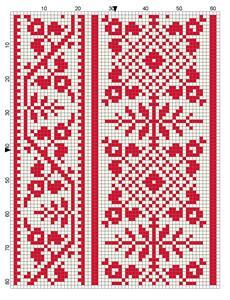 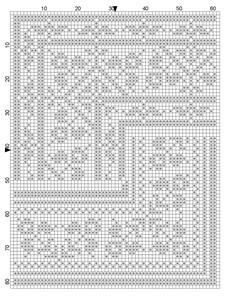 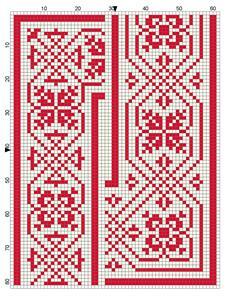 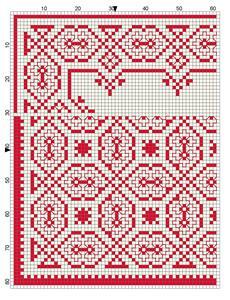 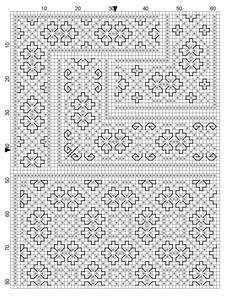 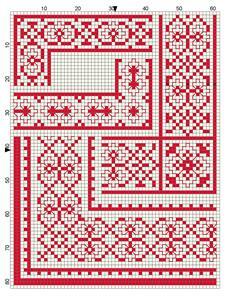 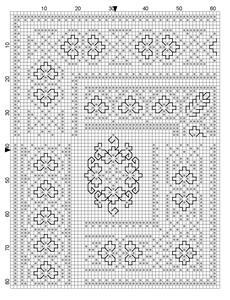 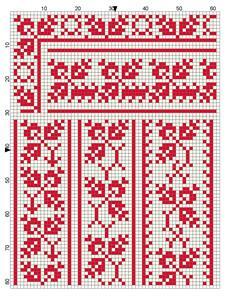 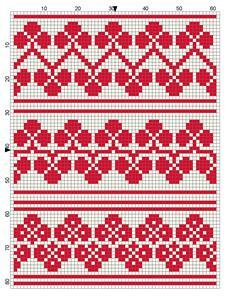 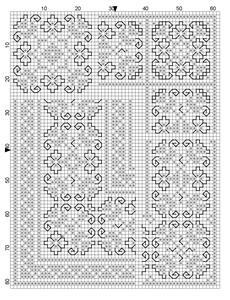 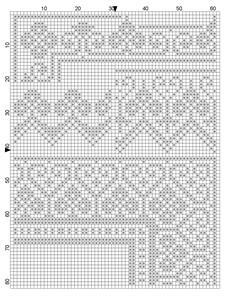 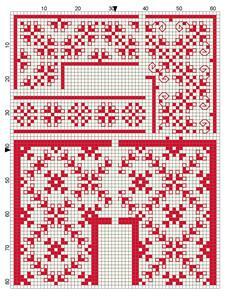 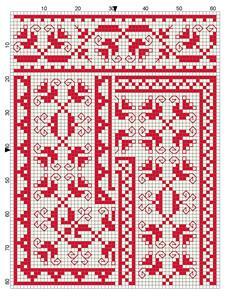 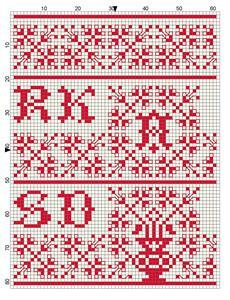 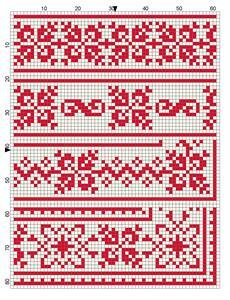 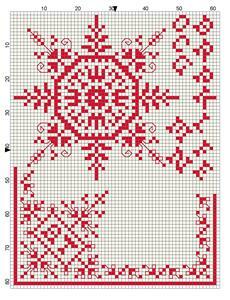 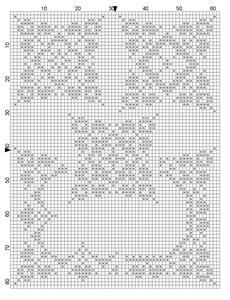 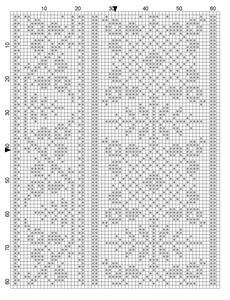 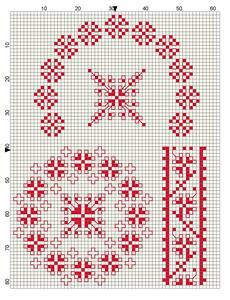 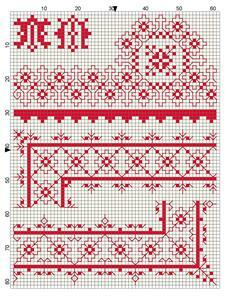 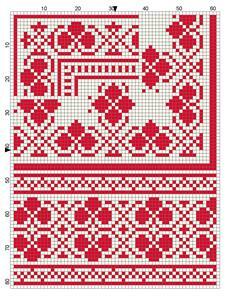 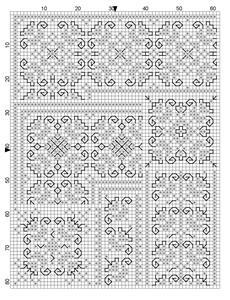 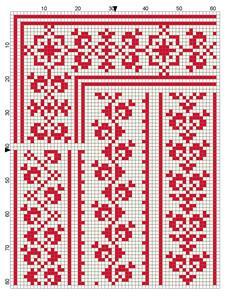 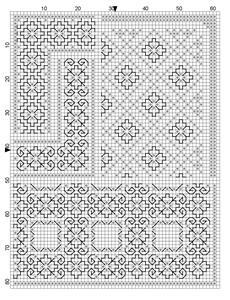 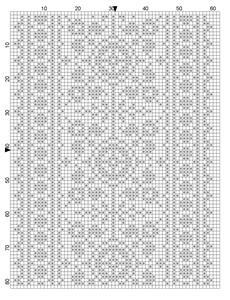 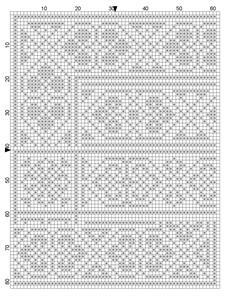 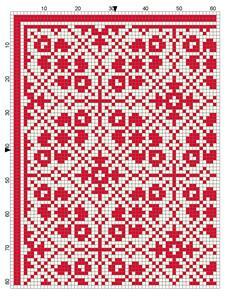 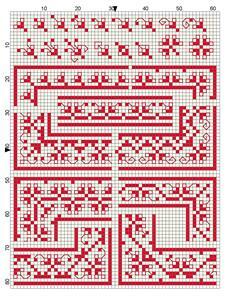 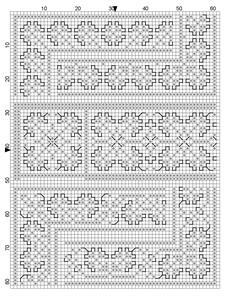 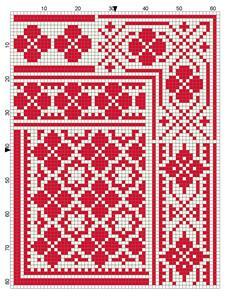 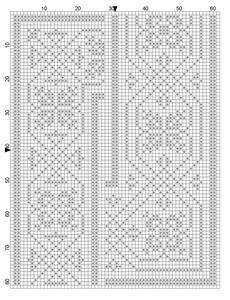 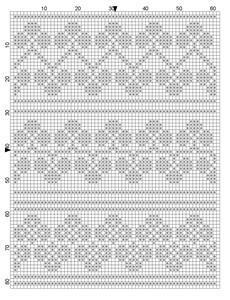 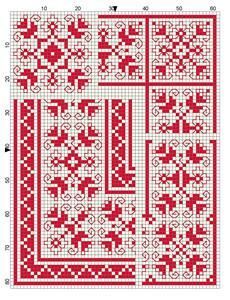 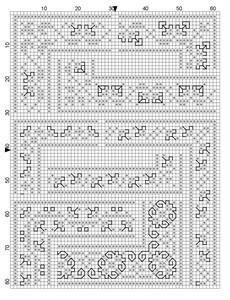 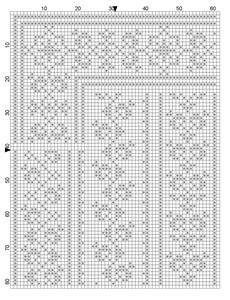 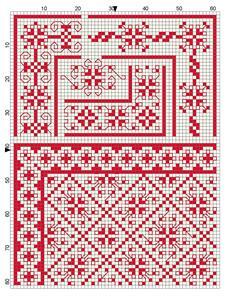 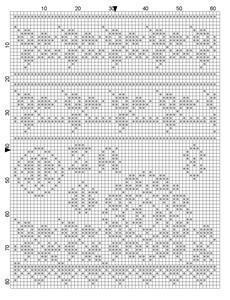 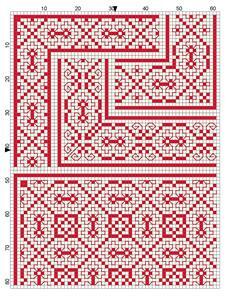 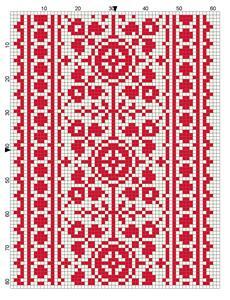 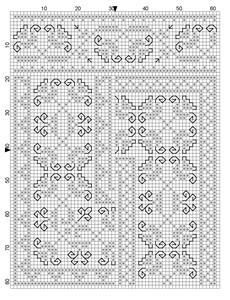 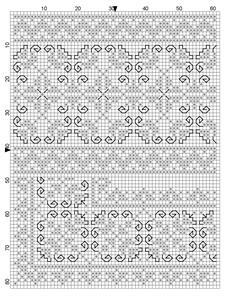 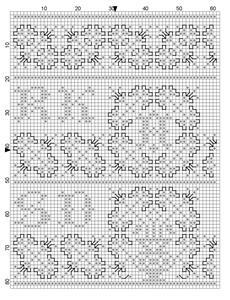 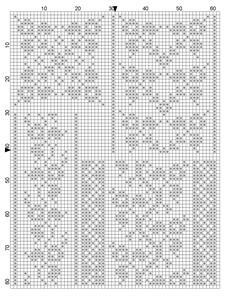 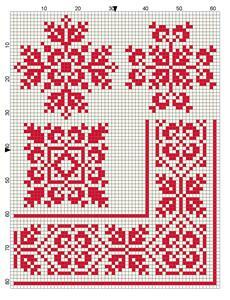 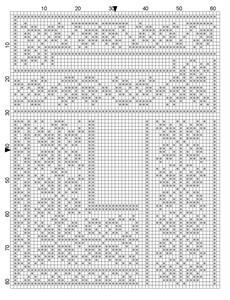 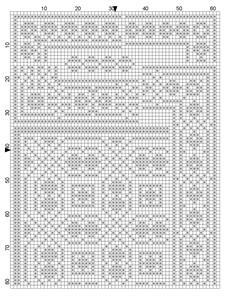 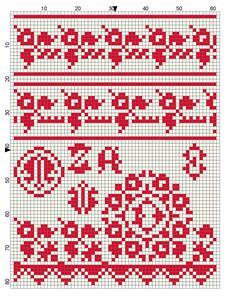 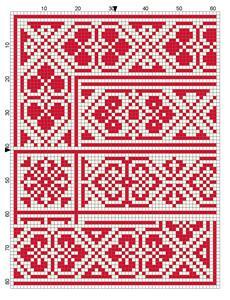 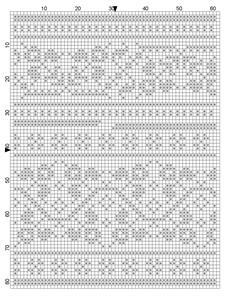 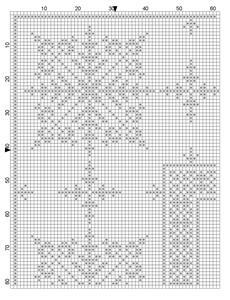 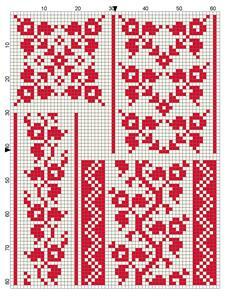 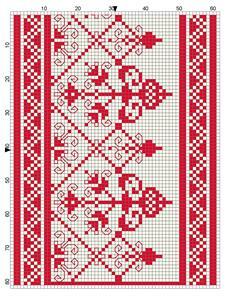 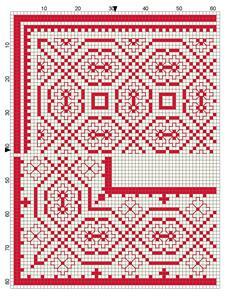 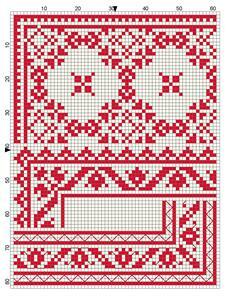 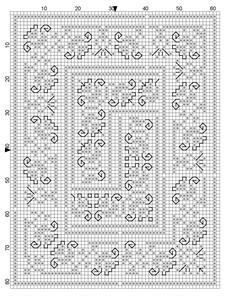 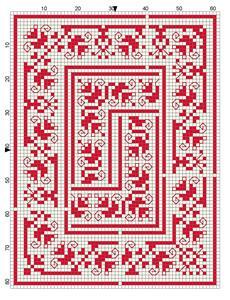 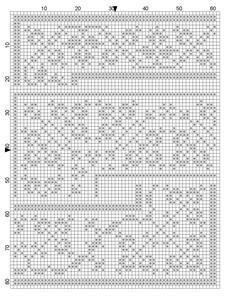 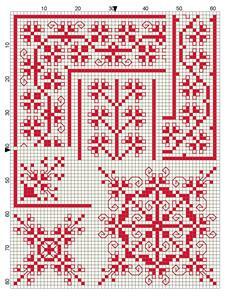 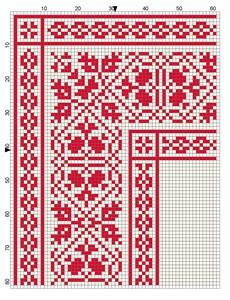 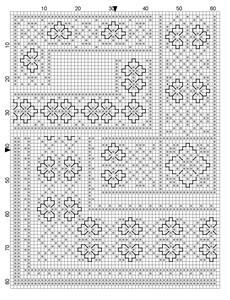 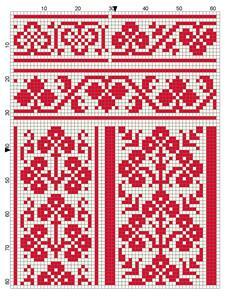 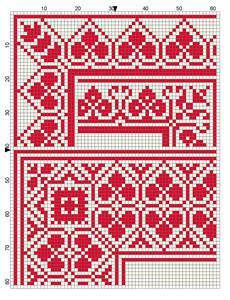 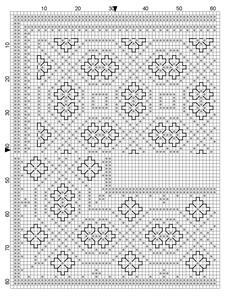 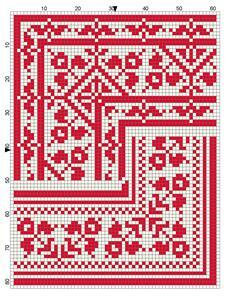 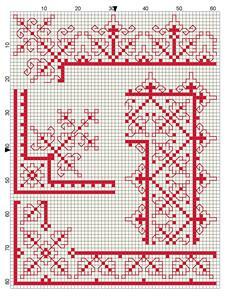 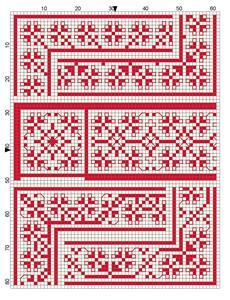 Includes accompanying folio with 74 plates of 60x80 unit designs for borders, corners, insertions and all-over motifs. 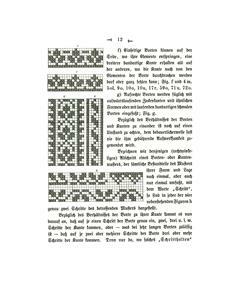 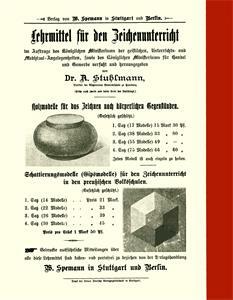 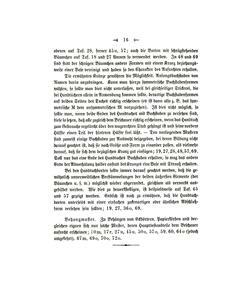 Intended "for school and home" instruction, the text volume explains techniques and design principles. 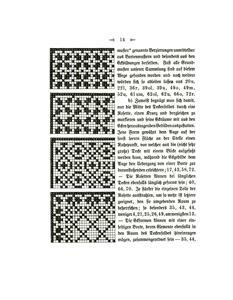 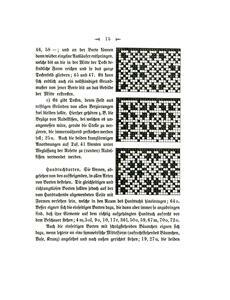 Very rare book, with patterns in the folk tradition that descends from earlier Renaissance modelbook designs. 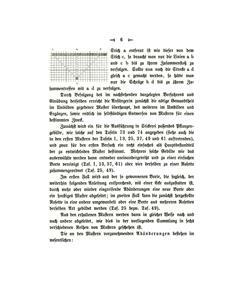 Original charts plus modern recharting provided for the folio pages. 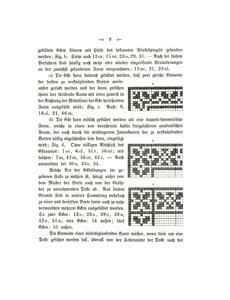 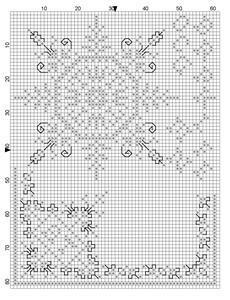 Scans donated by Franciska Ruessink, charted by Franciska Ruessink.